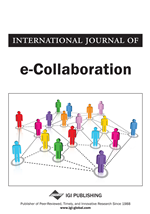 This article develops an organizational view of the roles and impacts of e-collaboration. Drawing upon the dynamic capabilities perspective, e-collaboration is conceptualized as a change-oriented capability that enables a firm to identify, integrate, and apply its knowledge assets to meet competitive demands. Therefore, e-collaboration potentially has three organizational roles—coordination, learning, and innovation—that are associated with either efficiency impacts or competitive impacts. The main argument of this article is that firms in less dynamic business environments need e-collaboration for operational purposes, emphasizing the coordination role, whereas firms in high-velocity business environments need e-collaboration for strategic purposes, emphasizing the learning and innovation roles. An analysis of the way in which business environment characteristics interact with media characteristics serves to demonstrate the importance of strategic characteristics—in addition to media and task characteristics—in determining the success of e-collaboration.